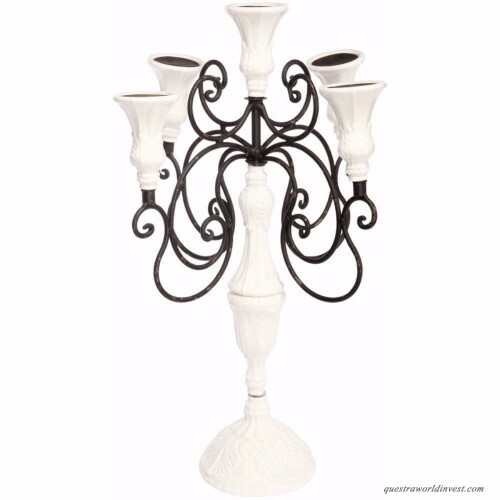 This classic, elegant artisan-crafted 5 Light Candelabra with the vintage look and lovely scroll-work design will add style and elegance to any rooms in your home or your backyard party. Light the night with breathtaking splendor. 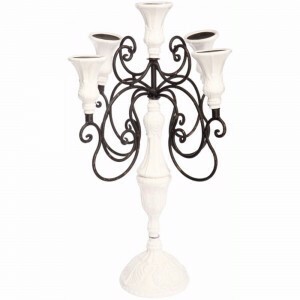 This candelabra is the perfect centerpiece for a romantic table setting and can hold five candles. Place candles on this and enjoy the beauty of your candelabra.